From the increasing number of patent registrations, the European Commission (EC) concludes that nanotechnology ranks within the six most promising key technologies. 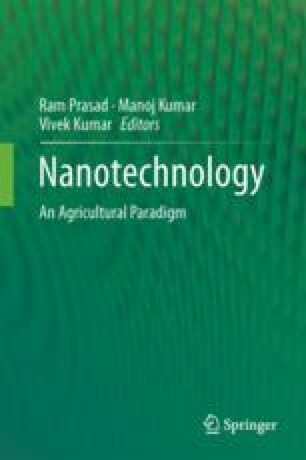 Most successful at inventing nanomaterials—measuring one billionth of a meter—is nature, which provides blueprints of self-organizing physical-chemical nanoparticles (NPs) properties and opens new dimensions for researchers in exploiting nature’s NPs and developing new products for increasing the agricultural and industrial productivity. After summarizing product processing effects, advantages and risks for agriculture, food, nutrition, and medicine, this book chapter discusses reasons why NPs use should occur balanced and carefully controlled by health and landscape policy. Only then a successful and profitable use for the overall benefit at lowest environmental pollution is achieved.